Nelson Ireson January 26, 2012 Comment Now! 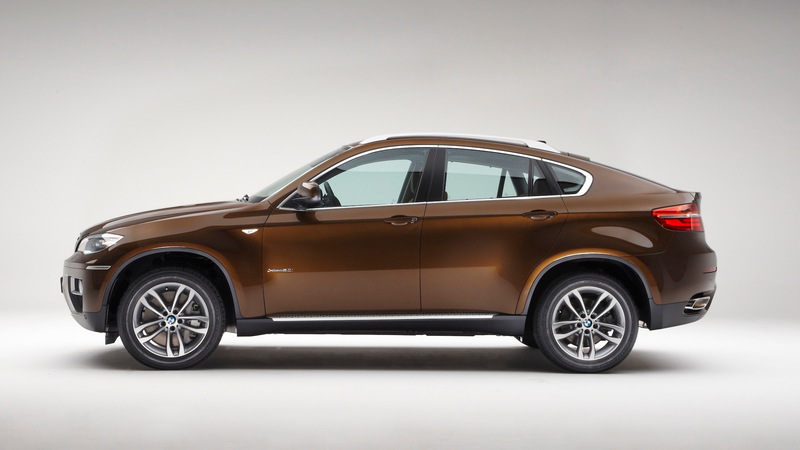 First reviled as a monstrosity mashing coupe and SUV together in unholy union, then slowly admitted to be a somewhat useful, somewhat sporty--if still ugly--vehicle, and finally growing on some of us like a four-wheeled, fast-backed fungus of fun, the BMW X6 is still a rare creature in the automotive world: a unique sort of vehicle. 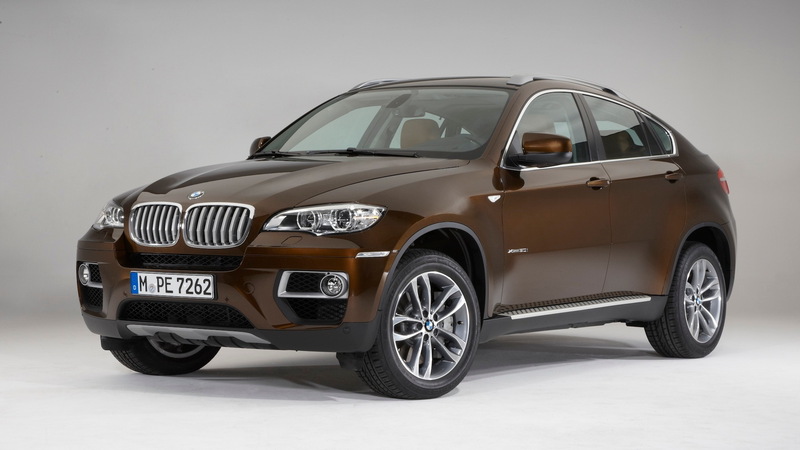 Today, BMW previews the updates coming for the 2013 model year, which will arrive at dealers later this year. Mechanically, the X6 remains essentially unchanged for the new model year, with the same 400-horsepower 4.4-liter TwinPower turbocharged V-8, the same 300-horsepower 3.0-liter inline turbocharged six-cylinder, and the same eight-speed automatic transmission as last year's model. A new M Performance Package heats things up for both engines, however, adding 15 horsepower and 30 pound-feet of torque to the six-cylinder. The V-8 gains 40 horsepower and 30 pound-feet of torque. Both engines see their power rise from tweaked engine tuning. Also included in the M Performance Package are 20-inch alloy wheels, black chrome exhaust tips, M foot rest and door sills, stainless steel pedals, shadowline exterior trim, an anthracite headliner, and optional Carbon Black metallic paint. While it's not a complete redesign, the 2013 model does get some new exterior styling, with matte-finish surrounds for the fog lights, which are also relocated higher and farther apart. The kidney grille is massaged with new angles, bars, and styling, and new LED adaptive headlights are available as an upgrade from the standard Xenon units. The LED lights bring their own, low-profile look, too. 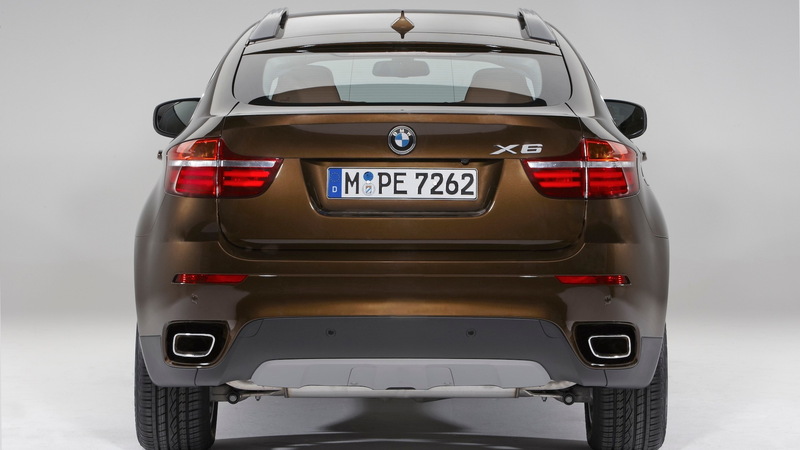 At the rear of the X6, LED-fed tail lights feature two horizontal banks. New paint options for non-M Performance models include Orion Silver metallic, Midnight Blue metallic, and Marrakesh Brown metallic. Inside, the X6 is now available with Vermilion Red Nevada leather, and Ivory White Nappa leather. Standard seating is a four-passenger layout, but an optional three-seat rear bench is available. The V-8 xDrive50i model also gets a new 19-inch alloy wheel as standard equipment. 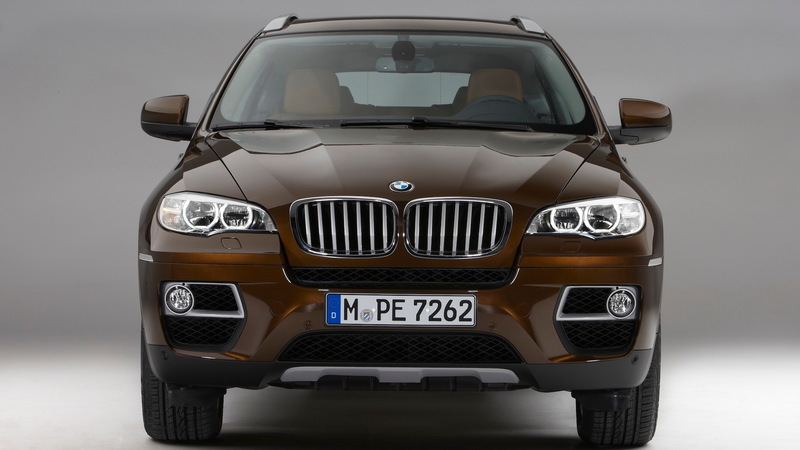 BMW hasn't yet released pricing, but the 2013 X6 will be arriving in U.S. showrooms this spring, so we don't have long to wait.